Just a regular guy and his dream about travelling to the jungle. 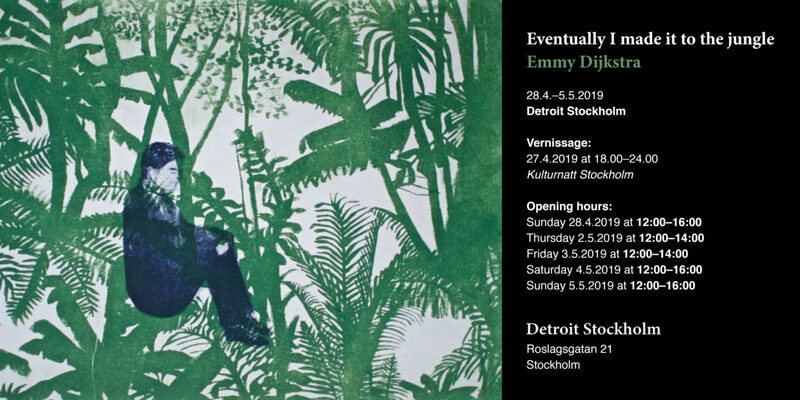 This is what my exhibition will be about at Detroit Stockholm. A story about a guy who has his daily routines; his suit and tie are hanging in his room ready for him to put it on and go to work. A simple life, a good life. But at night he reads about the artist Gauguin who travelled to exotic places and made these beautiful paintings about all his impressions. He feels inspired by Gauguin. On his way to work he has his mind full of dreams and expectations: he also wants to travel to the jungle. He needs to prepare. He needs to make a suit for his upcoming journey. That is his first step; making that suit. “Do I need a tie?” He wonders.